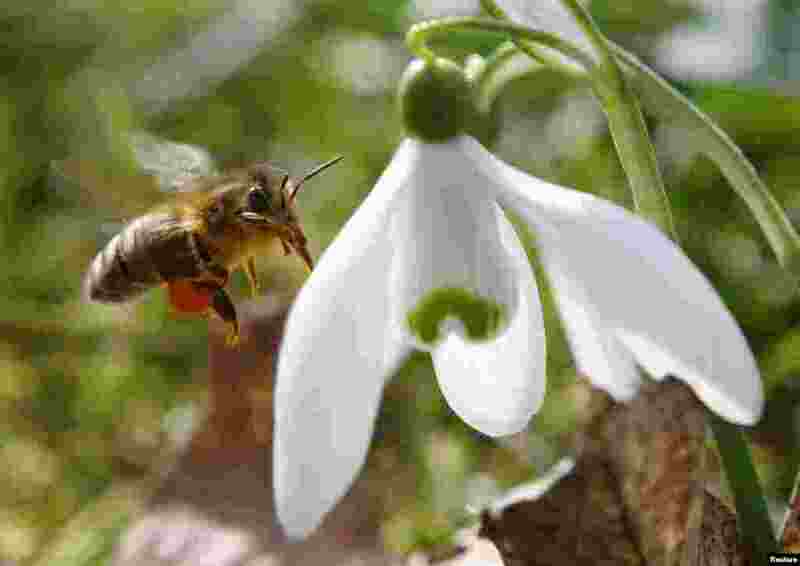 1 A honeybee approaches a snowdrop flower in Klosterneuburg on the first day of spring, Austria. 2 An outfit worn by musician David Bowie is displayed at the "David Bowie is" exhibition at the Victoria and Albert (V&A) museum in central London. 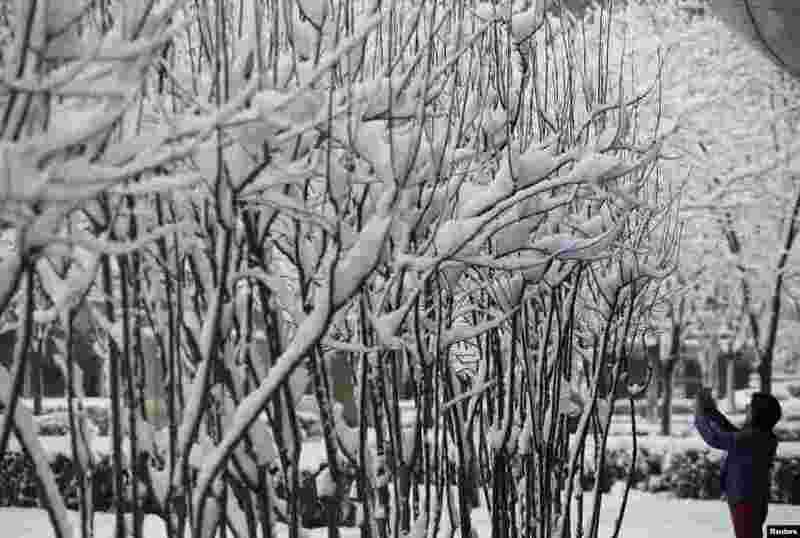 3 A woman takes pictures at a park covered with snow in Beijing, China. 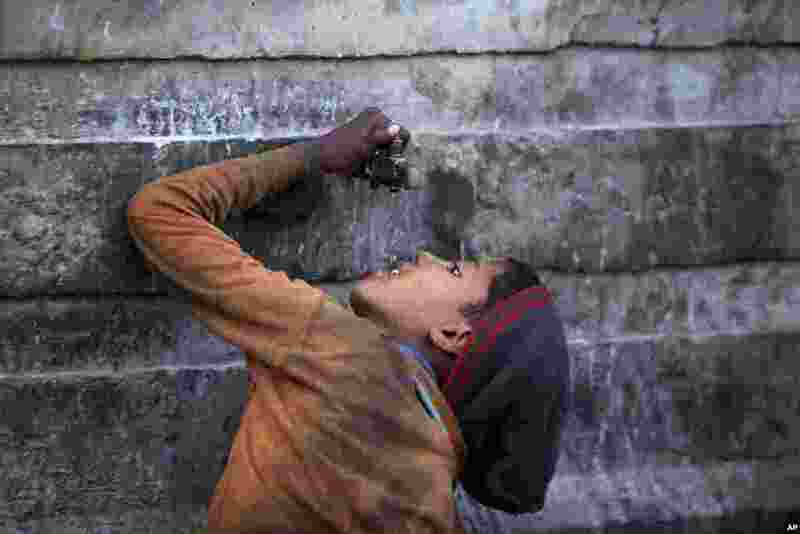 4 An Indian ragpicker boy drinks water from a tap at an automobile yard on the outskirts of Jammu, India.